Just little bit from last week’s conference. 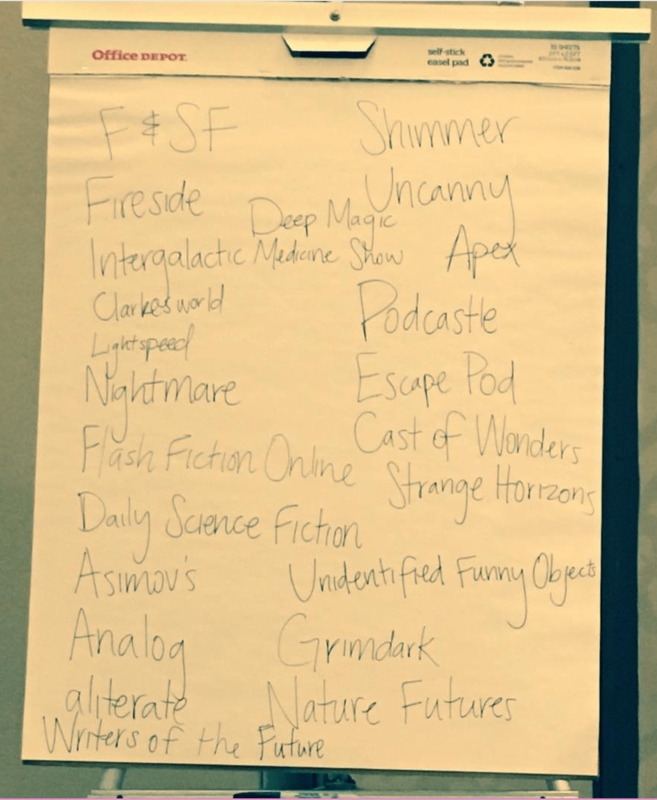 Also submission grinder, which has some useful search tools (but definitely slanted towards SF/FF/Horror and not “straight” fiction. I came away with a hunger to write that I haven’t felt to this degree in years–and I’ve been ramping up my writing for a few years now. More than that, I realized, in attending the panels and the critiques, that I have a few stories, partially completed, that deserve to get finished. They’ve got good characters, stories, and lives I’d love to share with readers.